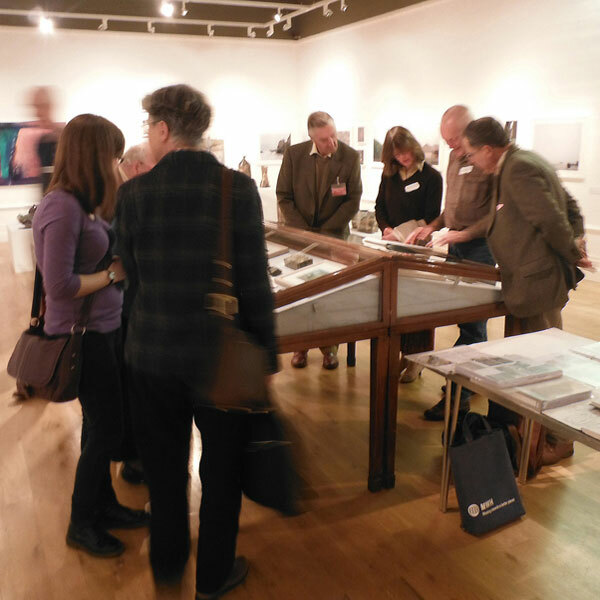 Members’ Day, when the Museum is open only to Royal Institute of Cornwall Members and their guests to enjoy the special displays and tours the Museum has to offer. Representing the artists involved in *Terrain*, showing in the Philbrick Gallery, I was invited, with the ceramicist Jenny Beavan, to take part with informal conversations about our work and the relationships with some of the RCM’s collections, as well as their work’s relevance to the wider landscape of the region. New writing on the subject of artists interpreting geology is a genre of academic research that offers great potential for development. 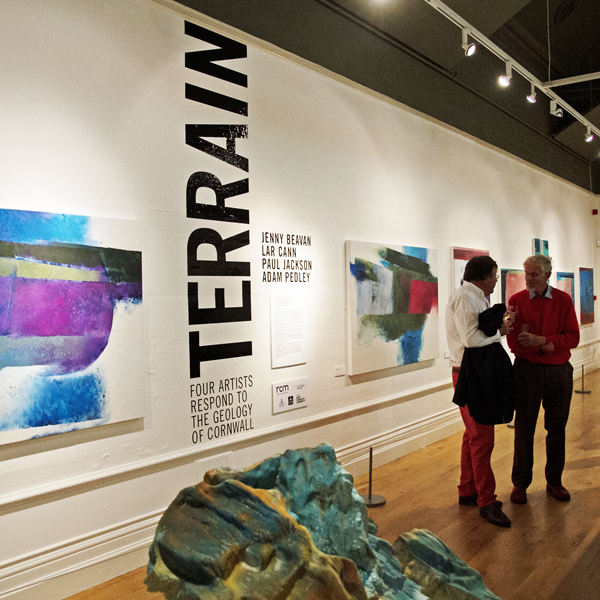 'Terrain' is the exhibition that adds a contemporary Cornish investigation to the genre of art referencing geology that enables the most direct visual research. This year's 'Spot the Artist' exhibition and sale was a great success. Allowing for a generous contribution towards expenses from Tanner Trust, the event raised almost £8,500, an increase of 25% on last year's result. This will be distributed during the current Rotary year on a 50/50 basis between local arts charities and organisations and Rotary charities and good causes. 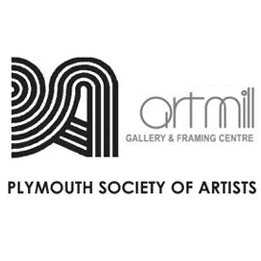 The Society's exhibition at the Artmill Gallery, Plymouth opened on Friday with a large and enthusiastic party of members and guests in attendance. 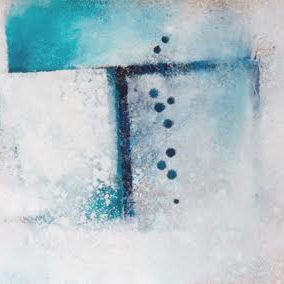 Visitors were able to enjoy an excellent display of paintings, prints and sculpture from this well-established and prestigious group in one of the city's best exhibition spaces. As part of the preparation for the forthcoming exhibition ‘Terrain’ a visit has been made to this renowned archive housed in the Royal Cornwall Museum, Truro. In collaboration with Michael Harris, Curator of Fine Art and Exhibitions, and Sara Chapman, Curator of Natural History and a specialist in mineralogy and geology, specimen samples from the collection were selected with the intention they should be included as part of the show scheduled to open on the 27th September 2014.